Second post of the day and ready to get my blog started. I woke up to a very sunny crisp morning in Midtown Sacramento, California. Midtown is serving as my destination for the next 2 days and I wanted to provide my insight on this location. 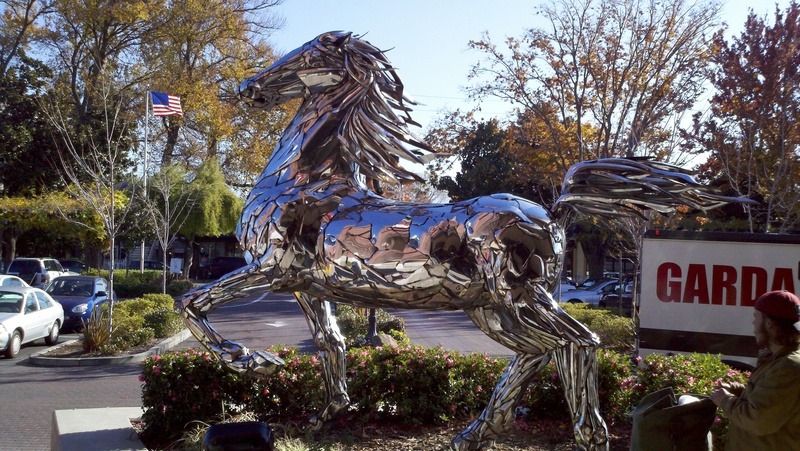 Midtown offers many things to those within the Sacramento area. You have these beautiful houses that have been here for many many years a long side beautiful mature oak trees lining the neighborhood blocks as well as the shopping and dining area. This area of the Capital city provides an atmosphere a little different than your typical Downtown. This location offers things for those of us who don’t necessarily want to visit the typical corporation all of the time (Nothing against corporate as I am a part of a corporate business). I have quite the agenda today and want to warn that this particular post is a work in progress. I am going to be visiting some local hot spots and will be giving my commentary on them at the end of the day. I just felt I needed to fill some space on here and feel some accomplishment. Please bare with me as this is a complete work in progress. 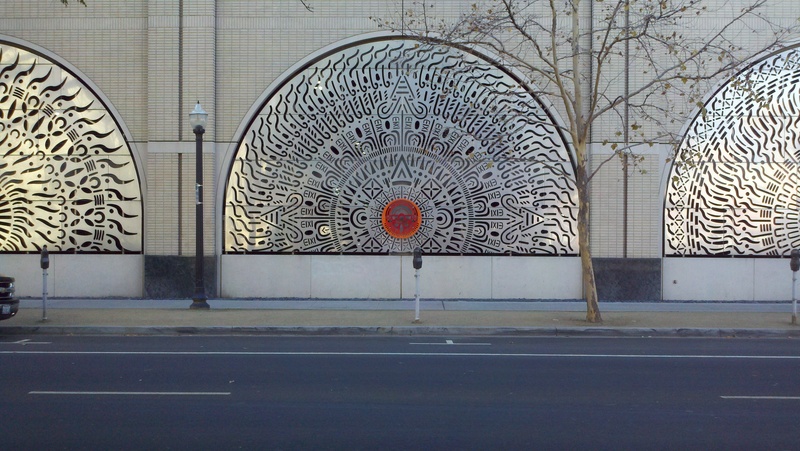 Art is everywhere in Midtown/Downtown. So now that part of the night is done and I have a little break before I go to the next place I figured that I would put up my pictures and give my reviews of the places. 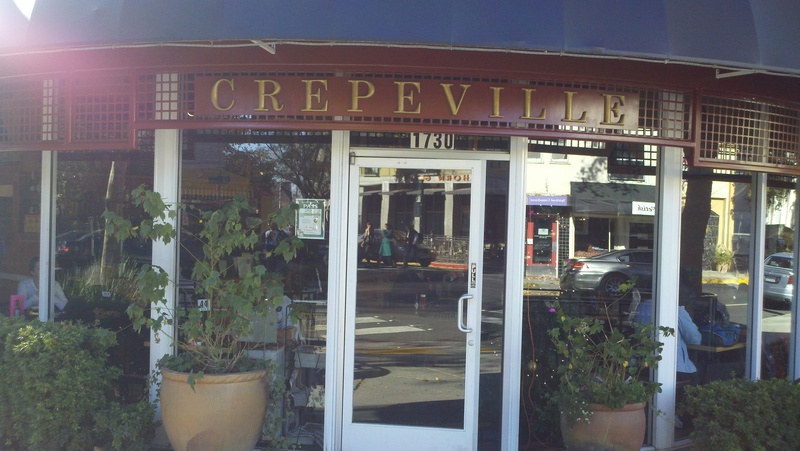 So I must admit that my introduction to Crepeville was not today. I have been a patron of this establishment for years. Introduced in 2006 to the Davis, CA location I instantly became a fan. The atmosphere is great, the menu offers something for everybody as well as offers items at a very fair price. They have a rather large selections of beverages and even have large variety of Torani syrups available to add to your beverages. I recommend a Diet Pepsi with a pump of watermelon flavor. Don’t knock it until you try it, because you will definitely be in for a surprise. As far as what to order I don’t know if I can narrow it down. Everything with my experience has been great and is totally up to what you are in the mood for. For this particular visit I created my own omelet with chicken apple sausage and cheese. This option came with potatoes (THE BEST) and a choice of bagel or toast. Again all reasonably priced and totally satisfied as I always seem to be. ***Side note, all locations take cash or check only so make sure for those of you (I know this goes for me too) card only people, carry cash on your visit. Kupros Bistro has to be one of the hidden gems of Midtown. Kupros offers a variety of local beers on tap and a wide variety of liquors for any drink that you would like to order. Their menu offers a lot of variety as well. The setup of this particular Bistro is very unique. As you walk up the stairs of this converted 1910 Craftsman style home you walk into the the bar area of the first floor. The the bar lay in the middle of the structure made of beautiful Cheery wood offers seating all around. Along side both walls are booths for those who would like to enjoy the bar atmosphere but don’t want to sit at the bar. I must point out the actually bar lighting features. 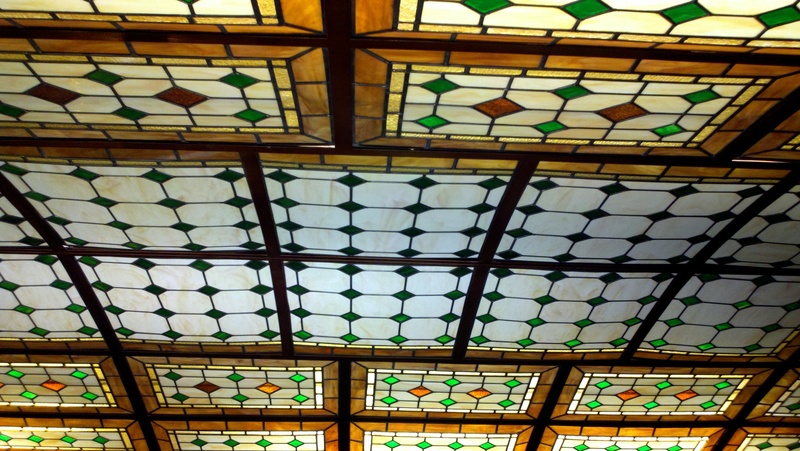 It is made of beautiful handcrafted glass panels that offer a very vintage feel. I am almost reminded of Cheers when I sat their. I also must note that the bar has been crafted from the original doors that were saved before the renovation. The second floor offers more private and intimate seating. Their are many tables to choose from. The mood lighting enhances the experience as well. 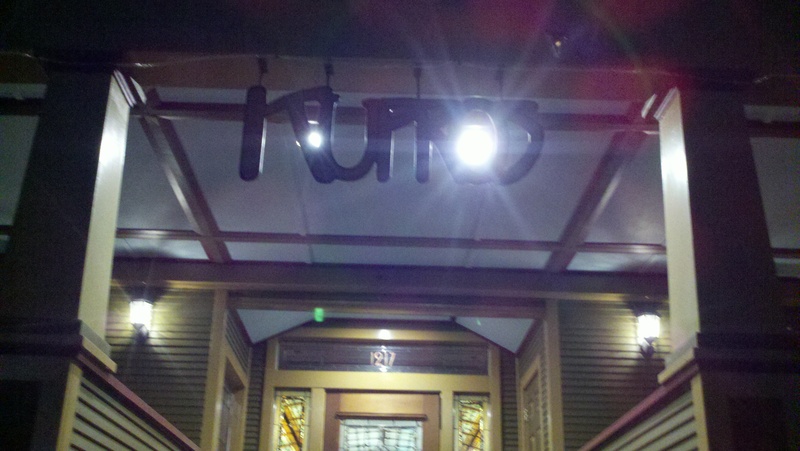 Kupros would definitely be my number one choice to host my office party or launch party. The venue is spacious and offers room to support. Did I also mention the patio? The large outdoor patio area is perfect for those summer and winter nights to enjoy the crisp night and eat or drink amongst the stars. I foresee this place becoming a huge hit in 2012. I have high hopes for this place in the future and know I will be paying this place a visit in the near future. Oh Mikuni. I must admit again that this is another place that I have frequented before. I added it to my list of destinations for the evening because I enjoy the architecture and the energy that this place has to offer. 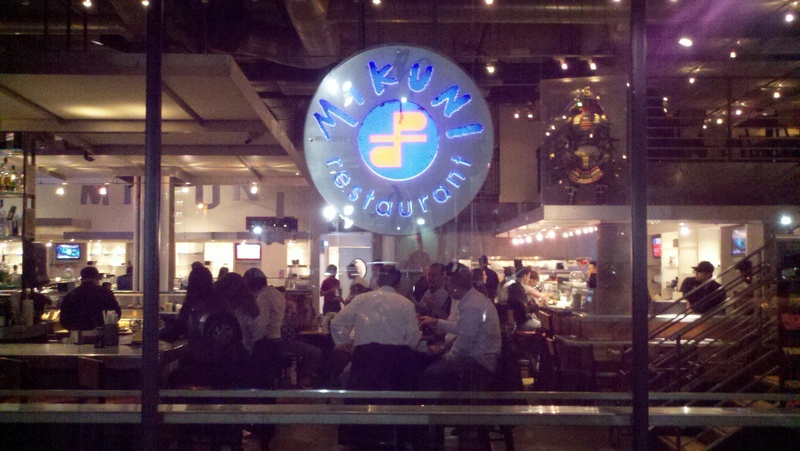 Mikuni’s is located at 1530 J Street. Valet parking is offered as well. If you want sushi this is the place to come. They offer an extensive list of rolls. They have a full bar as well. There are two levels which I find really nice. The upper loft area offers a little bit more privacy to those who want to escape the larger amount of people downstairs. No matter where you sit, the energy of the place is apparent. Service is pretty quick considering the amount of people that flood the place to dine. I recommend the No. 10 and the Japanese Mafia. Both a great rolls. But please sushi enthusiasts, don’t stop there. Their is something for everyone. So dinner is done, where do you go from there? Well I recommend walking down J street. There are bars for everyone. If you travel a little further down and go to 20th and J you have reached the, “Four Corners.” This is the LGBT friendly area and offers bars on all sides for whatever your type may be. Lounge on 20 is a gorgeous upscale lounge with plenty of room and for any size party you may be with. Faces one of Sacramento’s well known gay clubs is hear as well as Depot video bar as well as the more low key Head Hunters. Midtown has everything you need for any personality that you are with. Nobody will be left unhappy. I can’t wait to hit up the town tonight.